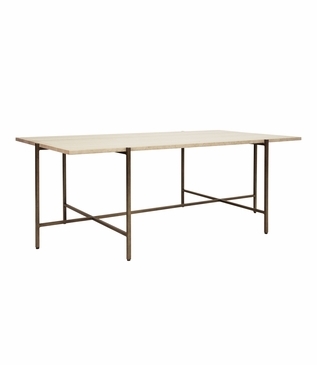 With its faux white marble top and bronze frame, this modern coffee is an attention grabber in any room. 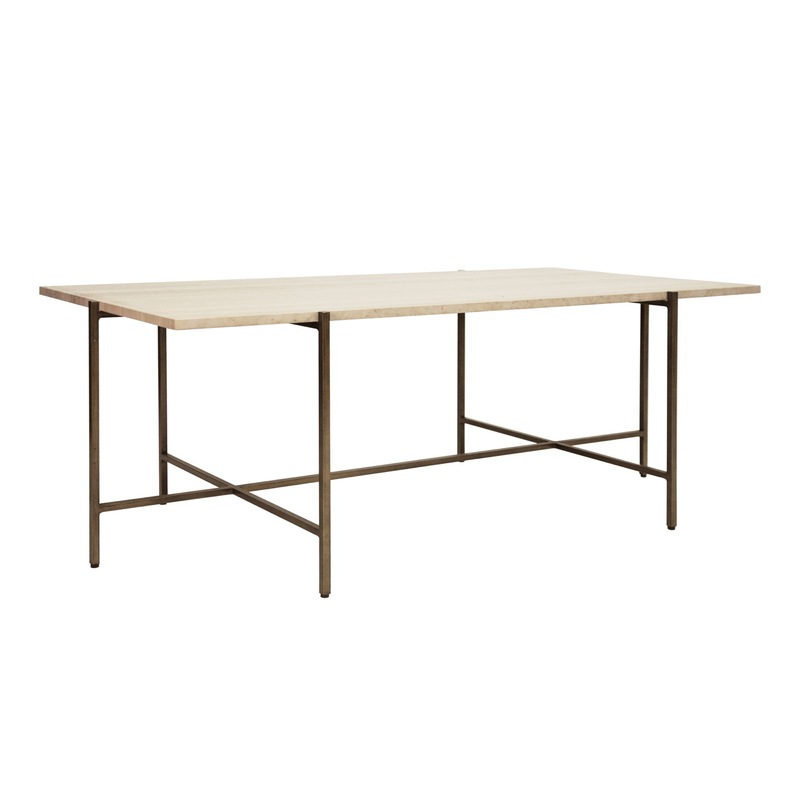 Though simple by design, the sturdy iron frame is softened by its rich, bronze finish. Due to the handcrafted nature of the iron frame, slight imperfections should be considered part of the piece's inherent character. Size: H: 18" • W: 45" • D: 22"